Public markets provide well understood benefits to economies. They spread risk through diversification, promote financial stability and facilitate the creation of wealth across societies through widespread direct and indirect ownership. Attracting and retaining companies to public markets is therefore a focus for policy makers around the world. In the United States and a number of other, mostly developed countries, the number of IPOs is on the decline and it is unsurprising that some people are asking why. It’s natural that exchanges and others highly dependent on new issuers will push for the relaxation of rules aimed at making markets transparent, competitive and fair, in order to reduce the cost of listing. A bill being considered by the US House Financial Services Committee – H.R. 5054, Small Company Disclosure Simplification Act of 2018 – is looking at a number of rules. One of these is the obligation of small companies to file digital versions of their financial statements. The suggestion that the $5,580 average annual cost of complying with this requirement is reducing the number of companies that seek to list is…. highly unlikely. The US and much of the G20 are in an unprecedented era of low interest rates. Why list, when the cost of equity is multiple times higher than debt? Even high school economics students would suggest it’s the wrong time to do so. Sophisticated newer forms of finance, especially private equity and VC equity, (and for some, entirely unregulated “ICO” auctions) offer attractive, often ridiculously attractive, valuations as mountains of this kind of private investment money fights over new opportunities. Long standing market failures mean that the cost of going public in terms of the fees charged by investment banks remains stuck at exactly 7% for all but the largest issuers. That’s an exceptionally high tax to pay for the on-ramp to becoming a public company. Given these factors, it is completely unsurprising that companies look for investment away from the public markets. As interest rates rise and markets continue to modernize, IPOs will, no doubt, once again be the primary choice of entrepreneurs looking for growth. Prudent public representatives, rather than pushing US markets away from international best practices, will wait for the interest rate environment to change. Be harder to find, with data providers including Bloomberg and Morningstar today relying on US SEC XBRL filings for feeds of fundamental financial information. Achieve even less analyst coverage, with more and more of the “smart money” relying on digital disclosures to reduce cost in a rapidly changing environment. Have severely limited access to factor-based indexes. For companies to be noticed in a digital era, when professional investors have mountains of information, it is critical that companies get their messages across to investors in a clear, unambiguous and digital form. A very significant proportion of small company data that is being consumed by investors is now being consumed in digital form, not in “paper under glass” form. 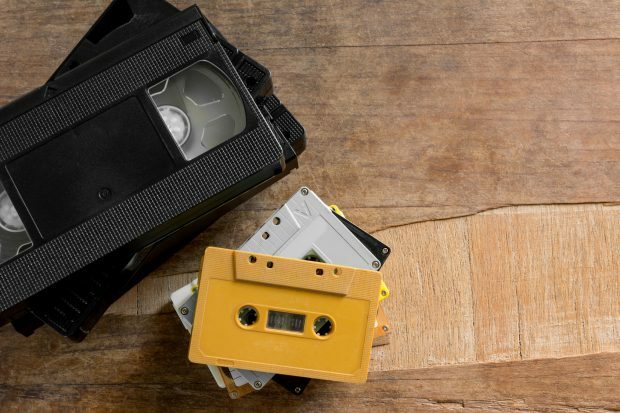 To shift small companies away from structured data is a lot like shifting small and independent film companies away from Netflix, and telling them that to get their story out to market, they will need to hawk their films on VHS. Since the last Blockbuster closed down in 2013, presumably they will need to try to sell them from street corners. To get noticed, small companies need digital disclosure even more than large caps. John Turner is the CEO of XBRL International, the not-for-profit standards development organization that works in the public interest to improve reporting.